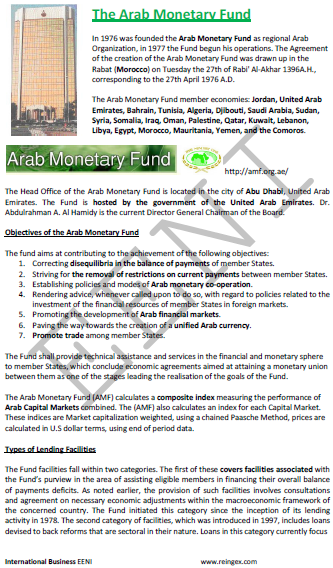 Syllabus of the Online Course (Subject): Arab Monetary Fund. Learning materials in (or Fonds Monetaire Arabe Fondo Monetario Arabe OIC). Description of the Online Course: Arab Monetary Fund. The Arab Monetary Fund was created in 1976 (1396 A.H.) in Morocco (Rabat).